While I have visited the incredible town of Mt. Pleasant, SC on numerous occasions, I have not yet run through and searched for the beer potential that may lie within. When I was asked to help judge a homebrew contest in Charleston earlier in the year, it was enough to motivate me to take the opportunity and check out what craft beer had done to this charming southern town. I only visited for a few days, but was able to get the scoop on the 3 major players, and do some adventuring as well. How I originally discovered this place, I may never know; But I have revisited on a couple of occasions because it is well worth a day. If you look it up on the Coastal Expeditions website, you’ll find a brief description of ferry rides that will take you to and from Bull Island, and is about 25mins north of Mt. Pleasant. Taking the ferry is the only way to get on or off of the island, so plan to make it, and be on time. After a short ferry to the island, you are on your own for the day, and you get to explore several different ecosystems within a short walk. The beauty of this island is indescribable, so you’ll have to see it for yourself. Within a 2 - 3 mile stroll, you will go from marshes and wetlands, to plains and grassland, to ancient moss covered oaks, to a graceful and unharmed beach. Travel a ways down the beach and you will reach the boneyard, which is not to be missed! The skeletons of hundreds of old oak trees are to be found and is a picturesque landscape for a relaxing barefoot walk. 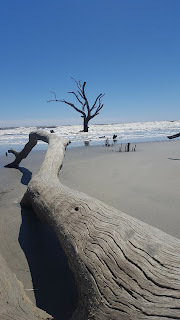 The best decision that we made on this expedition was to carry a couple of Gullah cream ale cans; sipping a light beer and watching crabs and clams moving from one section of the sands to another was heavenly. 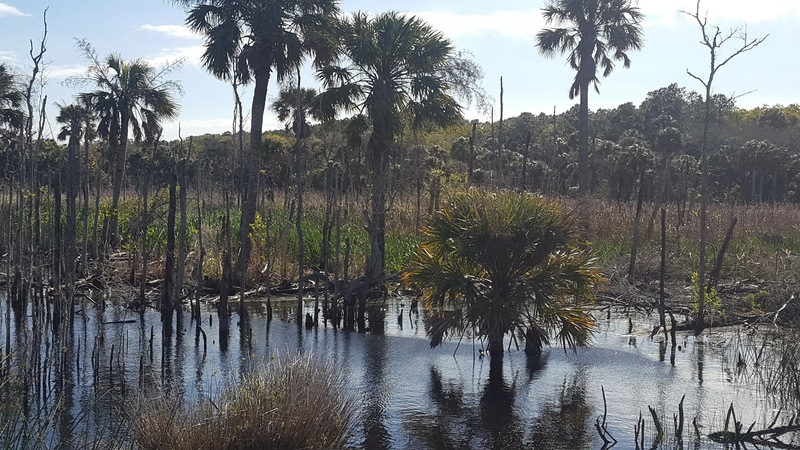 If you’re not already convinced to take a trip to visit this hidden treasure, I haven’t even mentioned my favorite part: the wildlife! 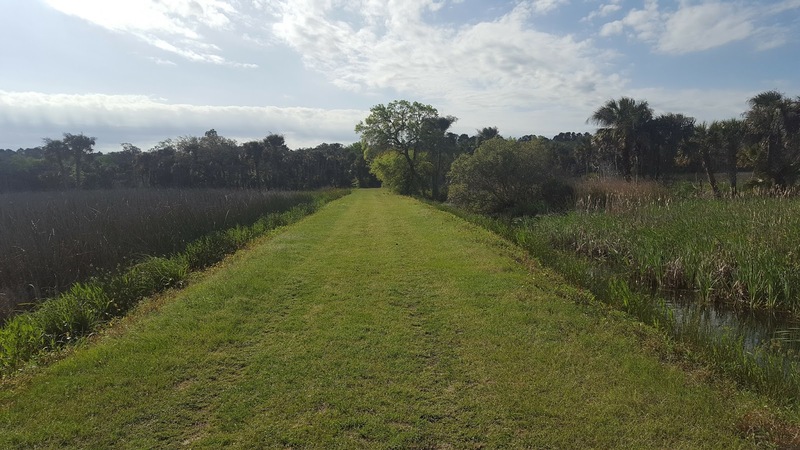 Dozens of species of birds and small mammals are to be found, along with alligators! Lots of them. Luckily, for the most part they will scatter when you approach, but you can see tons of them and they span from small to frighteningly enormous. 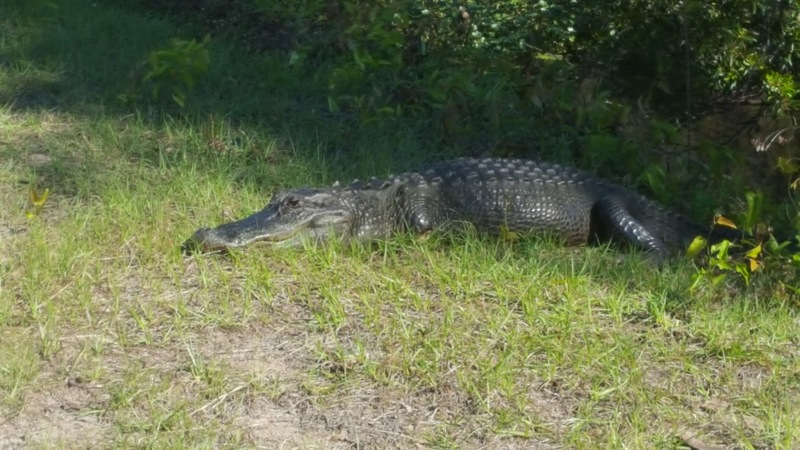 Seeing these alligators is my favorite part of the trip, so after losing track of how many we counted, I was satisfied and ready to catch the ferry back. I would highly recommend looking into this visit to get away and enjoy being in many different types of nature all at once! Walking up in the industrial area near the waters of Mt. 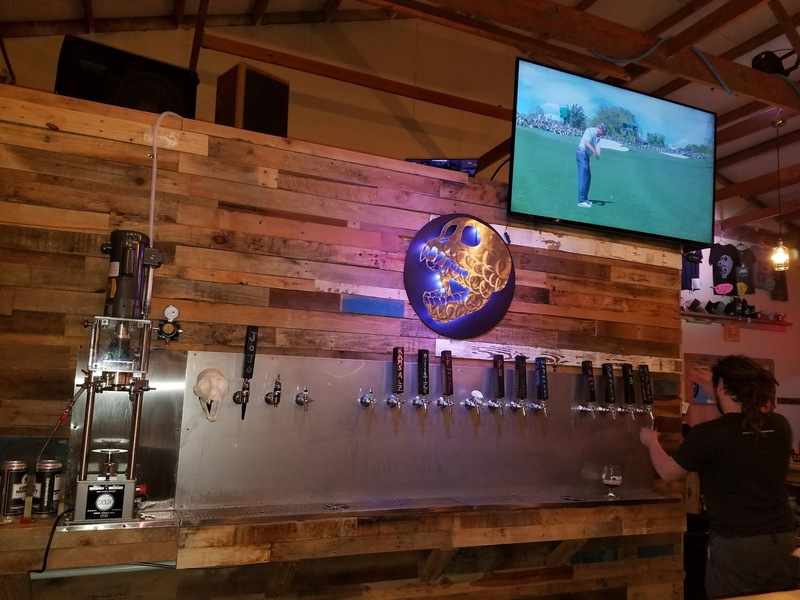 Pleasant, you'll smell an excellent bbq food truck and see the picnic tables sitting on the cement watching a game of beanbag toss taking place, and you'll know that you are at the place of which you seek: Ghost Monkey Brewing. Inside, you'll find a large bar space and several comfortable chairs and tables, which is nice to have, if you get there in time to grab a seat for yourself. 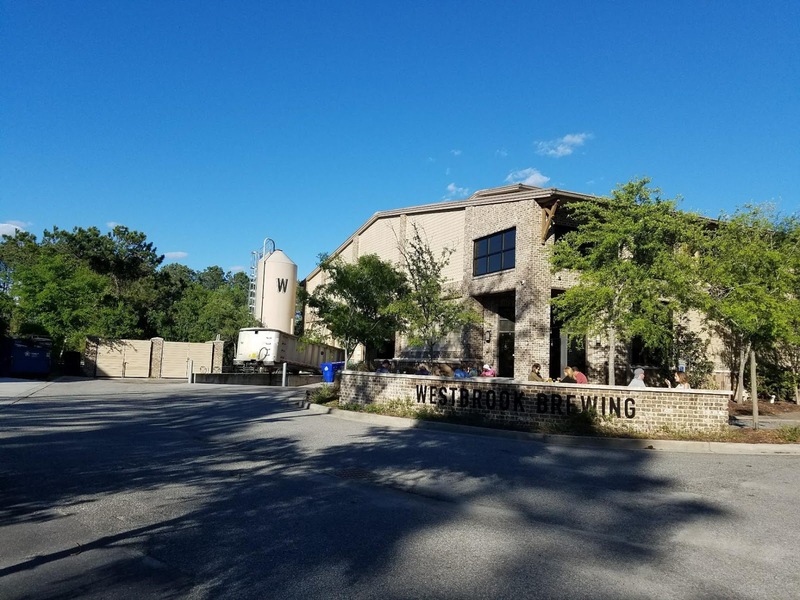 As you take in the mixed culture of young and old beer seekers, you'll undoubtedly chuckle at the signs for the brewery which raise the question, "How terrifying would an actually ghost monkey be?" Very. In my opinion. That being said, no ghosts nor monkey has yet to discourage the large community that has popped up around this new business. If you order a flight as I often like to do as a first timer entering a new world of beer, you will probably have the same challenge that I did, which is to pick only 8 which fit into a flight. This brewery boasts an extremely large number of beers offered, with several different styles and experimentals. 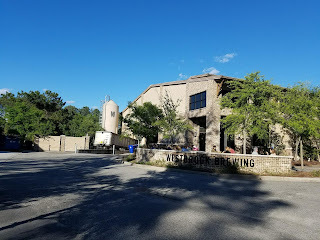 While I can't say that I didn't enjoy myself at this visit, I quickly picked up on the fact that this nano-brewery is a lot more focused on producing new beer, than fine-tuning what they already have. 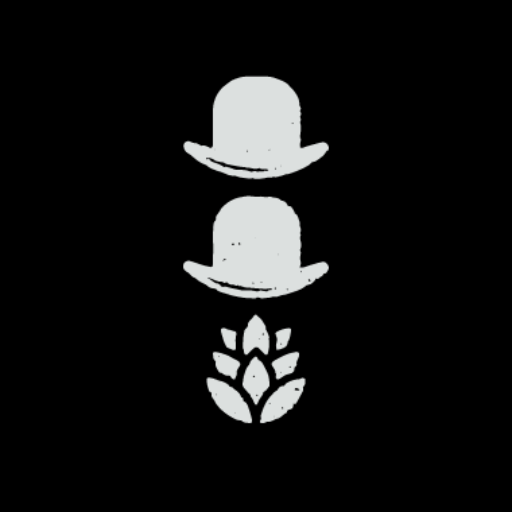 I found many beers to be hazy when they probably shouldn't be, and a few other minor flaws (not that they are entering into a competition). They do have a few that are hitting close to the accuracy mark, and they will likely become known for those if they continue to build them up. I do have to give it to them, I think that they started up within a month of my visit, and I hope to return one day to see if they have continued to improve. Best Beer: JoJo (Nitro Coffee Stout) - While it was extremely hot and humid during my visit, this nitro coffee stout was a nice and cooling refresher that you don't usually get in a dark beer. Not overpoweringly coffee, and not too high alcohol, this beer had hints of vanilla and caramel that made it highly drinkable and thirst-quenching. Chances are that you have heard of this one. This is the largest brewery in Mt. Pleasant and certainly expands to the Georgia lines through its canning and distributors. Upon your arrival, you will instantly notice that this place is big, and this place is new. It's almost strange how you don't often see those 2 combinations in the same place. A medium sized taproom is to be found inside, with a bar in the middle of the room. Very nice decor, and a giant chalk board on the wall shows you what beer they have available for purchase. This place certainly has the theme of high-quality in every aspect to which you look… maybe minus some of the beer. This may be a little too harsh, however the quality of the beer that I was able to try, did not match my expectations. Don't get me wrong, the beer was not terrible; but there was certainly not anything that stood out as exceptional. This being the case, I later set out in search of other local brewers to inquire if my opinion was in line with other's; While I did find that I had not tried their most popular beer (Mexican Cake - a 10.5% Imperial Stout), I also heard that the locals were in agreement, and that this brewery dropped out of the sky almost overnight as a birthday present from the owner's father (All speculation of course). This is another one that is consistently packed out of the door, so you'll certainly have to take my words with a grain of salt. Best Beer: Probably the Mexican Cake. 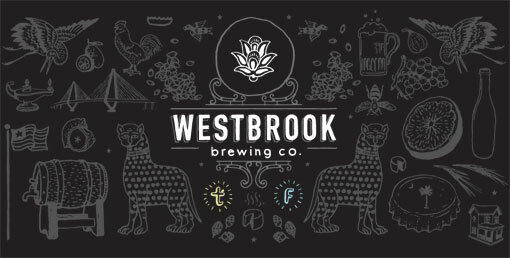 However, since I didn't try the Mexican Cake, I will go with the Westbrook Key Lime Pie Gose. This is right on the mark as it couldn't be named any other way. One part lime, one part sweet, and one part creaminess, this is an enjoyable and light gose that I could certainly have several of. Almost hidden in the back of a shopping center, I smelled the alluring aroma of beer brewing. 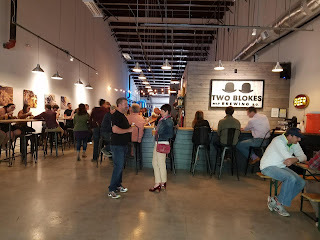 Following my nose (and my phone’s GPS), I found Two Blokes Brewing Company. This hidden gem was right down my alley, with a numerous supply of good beer and a focus on the un-pretentiousness (anti-pretentiousness… non-pretentiousness…? I don’t know). One of the main differences between this new brewery, and that of Ghost Monkey, is hard to put your finger on… but you can almost taste the high level of experience in each of the brews from Two Blokes. With a numerous selection, each one seemed hand-picked for a different customer, rather than a bundle of experimental options. With a large bar and several tables, the only complaint I had was their limitation of 2 shared bathrooms which are likely to be locked and have a wait, due to their large and growing customer base. 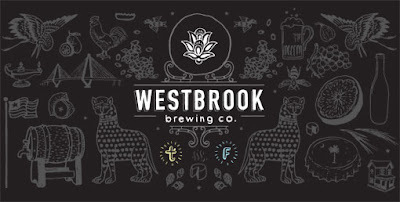 Best Beer: Wicked Throat Charmer - This is a classic example of a great IPA. With Citra and Amarillo dry hopping, this beer is certainly fruit forward, and keeps the bitterness low. While most people don’t consider IPAs extremely drinkable, I would ask you to take the challenge with this one. If you don’t enjoy this beer at all, you’re probably not going to like any IPA out there.